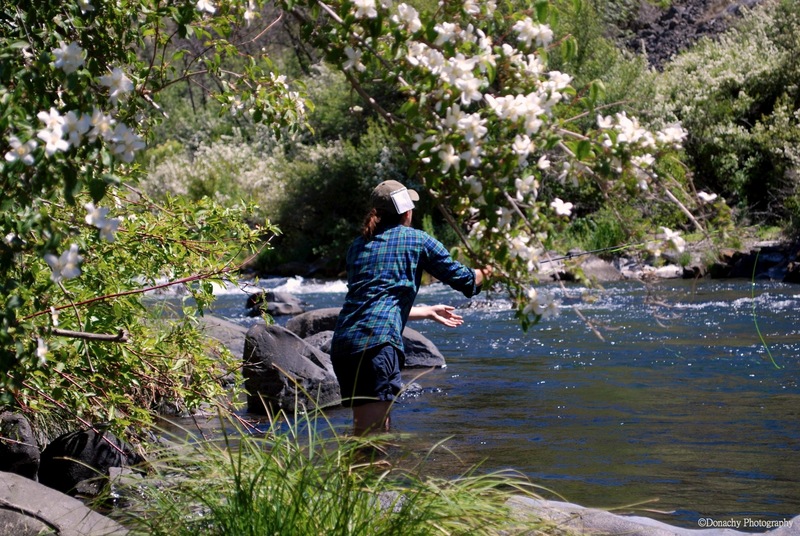 Daughter Maia works a pool in the canyon country of Oregon’s Deschutes River. This past summer, we fell in love with the film Away We Go in which Verona De Tessant (Maya Rudolph) and Burt Farlander (John Krasinski) find themselves in the enviable, daunting and sometimes scary position of realizing that, although they are not wealthy, they can live virtually anywhere they choose to. Their story unfolds as a touching, insightful comedy as they criss-cross North America searching for just the right place. Verona: I can do my job from anywhere. And all you need’s a phone, right? Burt: Well, we don’t want to go back to Chicago, do we? Verona: No, we did Chicago. Burt: I used to picture myself in Alaska. God, I love that landscape. Verona: You’ve never mentioned Alaska. Burt: Wow, they pay people to live in Alaska. Burt’s line about people being paid to live in this great state gets laughs from audiences, although for different reasons depending on who the audience is. While it’s not true that people are paid to live here, there is something called the Permanent Fund. Without getting into the complexities, Alaska’s Permanent Fund is a constitutional provision established in 1976 that, essentially, taps oil revenues allowing the state government to pay an annual check to every Alaskan resident once they’ve lived here one fiscal year. The amount of the check varies from year to year. The current five-year average is $1,341. This year’s payout was lower, but still appreciable at $878. That’s where Trout Unlimited comes in. Barbra and I feel a deep commitment to helping to conserve, protect and restore America’s cold water resources. This commitment flows naturally from our love of salmon and trout and the beautiful and often pristine environs they inhabit and depend upon. 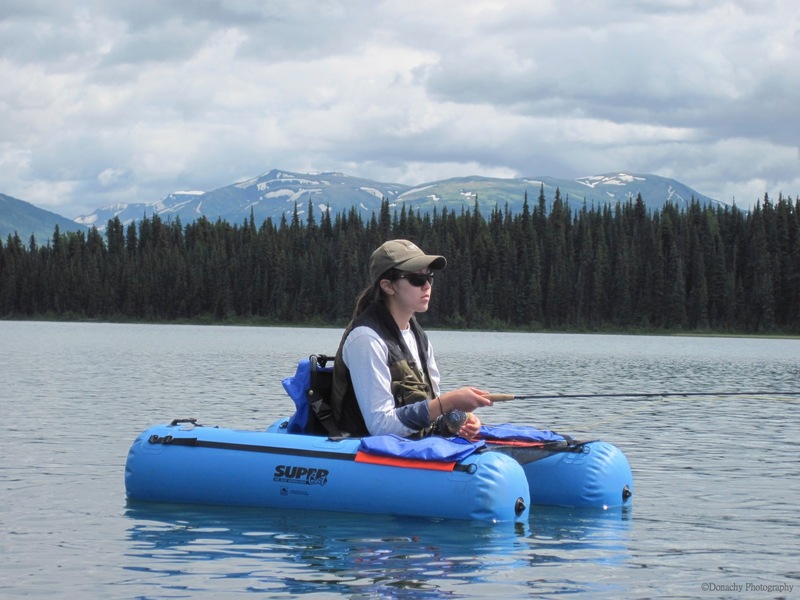 Protecting our cold water resources, though, is about more than protecting fish. Trout Unlimited has worked in concert with others to bring down dams that are no longer useful – thus restoring countless miles of free flowing rivers and streams. They work with vineyard owners and other farmers to help ensure water-wise land use. And all across the landscape, TU has, for decades, been instrumental in ensuring that mining, timbering and other resource extraction be carried out with sensible respect for its impact on rivers, streams and estuaries when sensible respect is possible, and that extractive industries be turned away when they can’t conduct their business without destroying watersheds. At present, TU is in the midst of several critical battles. One of them involves a multi-national mining proposal that threatens the world’s greatest salmon estuary, Bristol Bay. The proposed Pebble Mine could wipe out runs that number into the millions of salmon, as well as fishing jobs and subsistence fishing that generations upon generations of Alaskans (and salmon consumers throughout the world) have depended on. TU is also on the vanguard in fighting against irresponsible extraction of natural gas locked underground in Marcellus Shale. The extraction requires fracking, and it is posing a major risk to the streams and rivers I cut my teeth on as a young angler in Western Pennsylvania. Again, this isn’t just about trout and salmon. We humans, too, drink the water, grow our farms and forests with it, admire its beauty, and are responsible for passing down a legacy of clean water to future generations. And so, presented with money that is essentially a gift from our adopted state, the choice on how to spend it was easy. This year, Barbra and I will become lifetime members of Trout Unlimited. After vetting dozens of organizations, we came to feel that in TU, our contributions will support the causes closest to our hearts. Not just for us, but for generations to come. Maia on a seldom-fished hike-in lake raptly watching her fly line for a twitch. Huzzah! Thanks, Jack and Barbra. Your support means a great deal to all of us at Trout Unlimited. Thank you! Thanks Chris. We’re proud to be part of a great organization! Love the photo looks so relaxing and beautiful. The scenery here looks amazing.